has been helping people look younger and feel confident about their skin since our establishment in 1993. We are the most experienced skin clinic Auckland has to offer with highly trained practitioners that have helped thousands of people attain smooth, youthful skin. Our newest clinic will be dedicated to providing the same luminous skincare and cosmetic services you’ve come to expect from Prescription Skin Care. The most experienced clinic in New Zealand for non-surgical fat reduction using CoolSculpting. The number 1 provider of Botox ® treatments in New Zealand. A non-surgical and minimally invasive procedure that produces instant results. Get smooth legs & arms, remove unwanted hair on the face, back & chest, and safely treat sensitive areas like the upper lip. Photo Genesis improves your skin’s texture, tone and color on your face, chest, arms, and hands. Effectively treats fine line wrinkles, large pores, uneven skin texture, scars and diffuses redness. Treats a broad range of vessels from tiny spider veins to deep blue reticular veins quickly. The Paris lip procedure is used to define the border of the upper lip and highlight the vertical ridges between the lips and the nose. Nourishing make-up products are the latest advancement in nutrient-rich cosmetics which are great for your skin. Micro needling’ to stimulate cell production. A mode of treatment which increases the natural ability to produce collagen. Dermastamp can be easily applied on and around the many contours of the nose, mouth and eyes. Our Medical Director, Mr Stephen Gilbert is a plastic surgeon in Auckland, specialising in cosmetic plastic surgery. Mr Gilbert is experienced in all kinds of plastic surgery including facial enhancements such as rhinoplasty (nose surgery), breast surgery and liposuction. 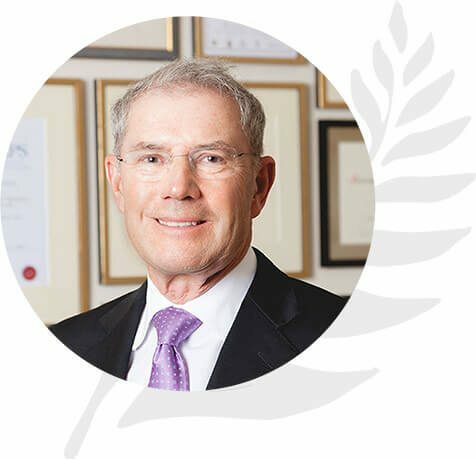 A founding co-director of the New Zealand Institute of Plastic and Cosmetic Surgery, Mr Stephen Gilbert trained with Sir William Manchester, following in the expertise and traditions of New Zealand’s best plastic surgeons, whose philosophy focuses on perfection. Mr Stephen Gilbert and his team at Prescription Skin Care offer a full range of plastic surgery procedures for the face and the body. Facial enhancements include endoscopic brow lifts, face and neck lifts, and eyelid surgery. The aim of facial cosmetic surgery is to create confidence, slow down the natural ageing process and restore beauty while giving a natural, youthful look. Stephen has studied plastic surgery in the UK, USA and New Zealand, and recently visited the world’s leading breast reduction surgeons in Brazil and Switzerland to study short scar techniques. While in the United States he studied breast reconstruction techniques and is an expert in post mastectomy surgery. Mr Stephen Gilbert is plastic surgeon to Chelsea Hospital, Gisborne and Honorary Consultant Plastic Surgeon to Middlemore Hospital, South Auckland where he worked for 18 years. Julyan specialises in skin rejuvenation through injectable botox ®, restylane and juvederm treatments as well as skin care products and advice. She has trained in the Plastic Surgical Unit in Oxford England and has been working as a skin care specialist since 2004. Angela is without doubt one of the most experienced and widely respected Cosmetic Skin Care Specialists in New Zealand. An acknowledged expert in her field Angela has contributed to health and fashion publications, including writing numerous articles for New Zealand’s Fitness Life magazine. Julie has had over twenty years’ experience as a Registered Nurse. Her career has been interesting and varied. Julie has been involved in many areas of nursing including specialising in paediatrics, accident and emergency, charge nurse of an adult and paediatric surgical ward for a number of years and spending time in the community as a practice nurse. Asia is a registered nurse with 7 years in the appearance medicine industry. She has previously worked at the New Zealand Institute of Plastic and Cosmetic Surgery as a plastic surgical nurse.